Little Ursa here with your nightly discussion! I'm still recovering a bit from all the conventions I've been going to. 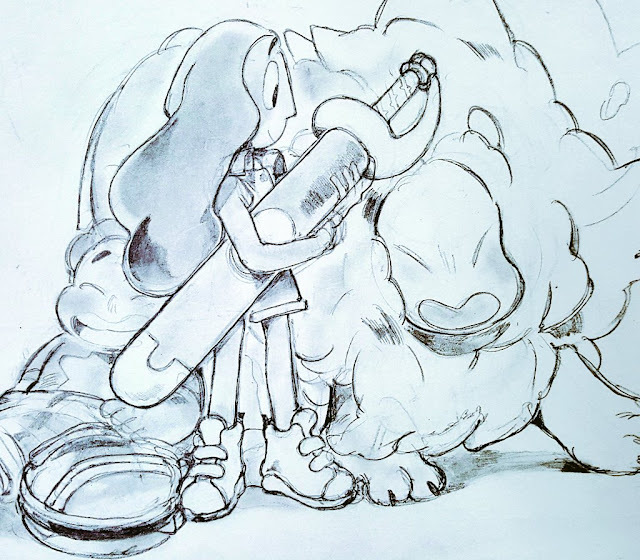 Anyway, lemme ask you something somewhat in that vein: if you could have a dream panel with only four people who work on Steven Universe, who would they be? The Crystal Gems? The Crystal Temps (including Pumpkin)? The Diamond Authority? The Onion family? Lemme hear it!